Hands up if you have been hit with the cold of nightmares since New Year? I have had this for 6 days now and it looks like there is no end in sight. I have lost my voice for the first time ever, it is very weird. 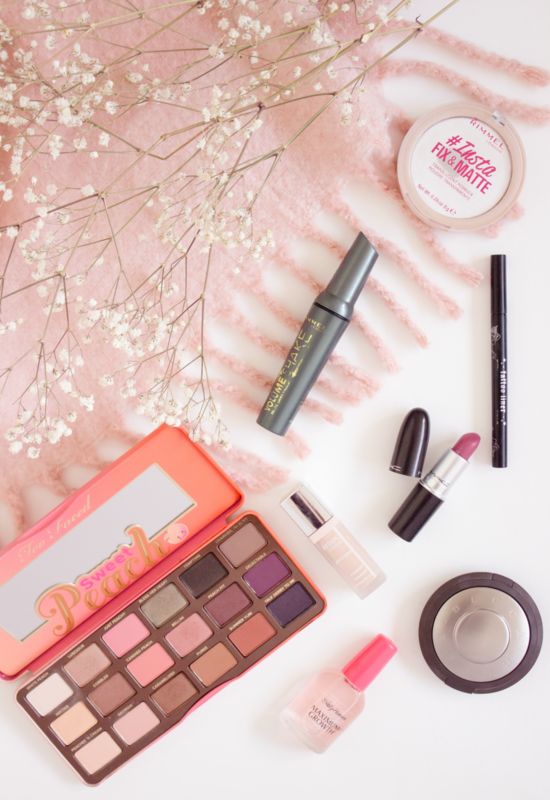 Anyhow, moving onto much better and brighter things, I have finally got around to sitting down and writing my beauty favourites for 2017. 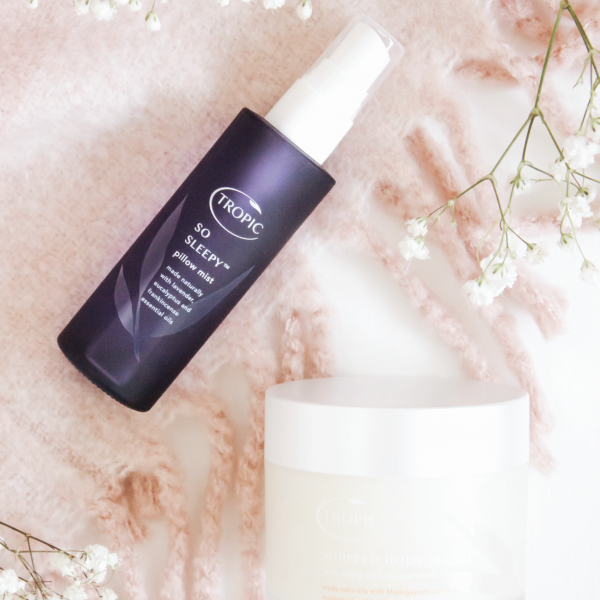 I picked my products from what I decided I used the most last year, surely that is a good enough reason for a favourite than any other? Upon reflection of last years Beauty Favourites I note that I have chosen two products which are exactly the same. It wasn’t intentional, however, I guess it just goes to show how much I have loved them once more. The Too Faced Sweet Peach Palette* was kindly sent to me in April and I have loved it ever since. It is such a beautiful palette which not only smells of peaches (to be expected) but also offers incredible pigmentation and longevity. Every time I use this I am so happy with the results, so much so that I really would like to invest in the original Chocolate Bar palette. I know it is an older palette now, having said that, I have never used it and the shades look perfect. I was initially worried that the shades in this palette would be too pink but they are surprisingly wearable, I love it and truly would recommend trying it out to everybody. 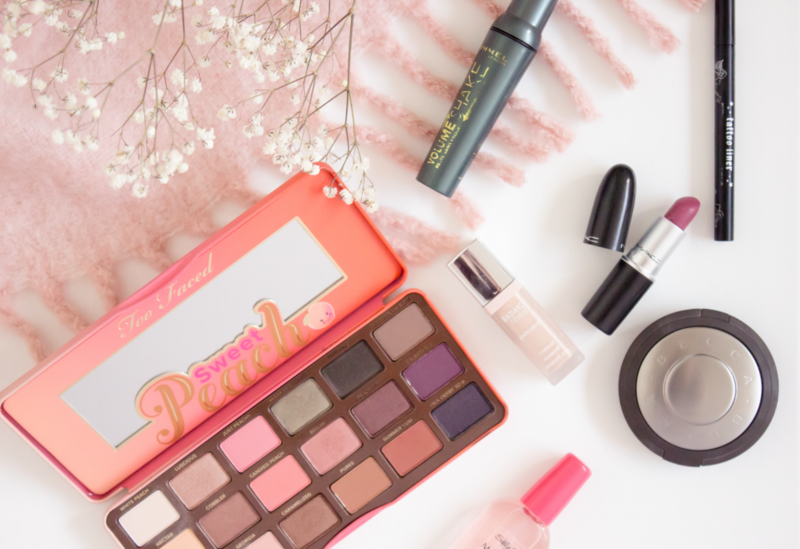 You can read my full review of the palette and a few other items from the collection in my Too Faced Sweet Peach Collection post. Too Faced I hear is also on its way to Cult Beauty this year so stay tuned! The Sally Hansen Maximum Nail Growth is a little bottle of magic as far as I am concerned when it comes to your nails. As many of you know, I am a chronic nail biter, it’s sad but it is true. I find that when I am trying to grow my nails that using this really does help to speed things along a little bit. For £5 it is the best nail product I have used and trust me, I have tried a lot. When it comes to mascara I am not loyal in the slightest, I will happily try any brand at any price point. The Rimmel Volume Shake Mascara* which I have a full review of is the best one I have used all year. It creates volume, length and fans out my lashes really well. There isn’t much else to say really other than if you haven’t tried it, I would definitely recommend giving it a whirl. Sticking with Rimmel for one more minute, I have to also confess my love for the Insta Fix and Matte Pressed Powder* As you can see, this has been used a lot this year since I received it back in July. In the past, Rimmel powders have always impressed me and this latest launch continues to do just that. It is finely milled, affordable and helps to keep my make up in place and oil at bay throughout the day. There were quite a few products released within this collection, you can read more about that here. Despite my lack of loyalty for mascaras, I am the complete opposite when it comes to eyeliner. I tend to just re-purchase the same one every time, that being the Soap and Glory Supercat Liner which is awesome. However, last year I was able to try the Kat Von D Tattoo Liner and oh my days did this up the game. It is the nicest eyeliner that I have ever used, in fact, it is the easiest eyeliner to use in my opinion as the nib is so soft which allows you to easily glide across the lid. It is super pigmented and holds up throughout the day. I honestly think it is brilliant and would definitely purchase this in the future. Too Faced and Kat Von D had a little collaboration in early spring last year, you can read all about that here. MAC Lipsticks are once again my lip product of choice, although I will make an honourable shout out to the Dior Lip Glow which I used up this year and now sorely miss. Last year I used three particular Mac Lipsticks quite a lot, those shades being Syrup, Amorous and Patisserie. They are so easy to wear and the shade range is unbeatable, I love MAC and always will. My favourite concealer last year was the Bourjois Radiance Reveal Concealer which I featured within my Recent Beauty Purchases of June 2016! I have clearly had this product far too long but only really made the most of it last year. It is, in my opinion, quite a thick concealer, however, it blends out really nicely and instantly brightens up my under eye area. I would most likely repurchase this as I thought it worked really well for me, I haven’t really seen anything else that has caught my eye this year other than the NARS Soft Matte Complete Concealer, however that is somewhat double the price. The last product which I have chosen is the Becca Shimmering Skin Perfector in the shade Moonstone. This was probably my favourite beauty purchase of last year and I have not stopped using it since. It is absolutely stunning and instantly adds a glow like no other product I have in my collection. 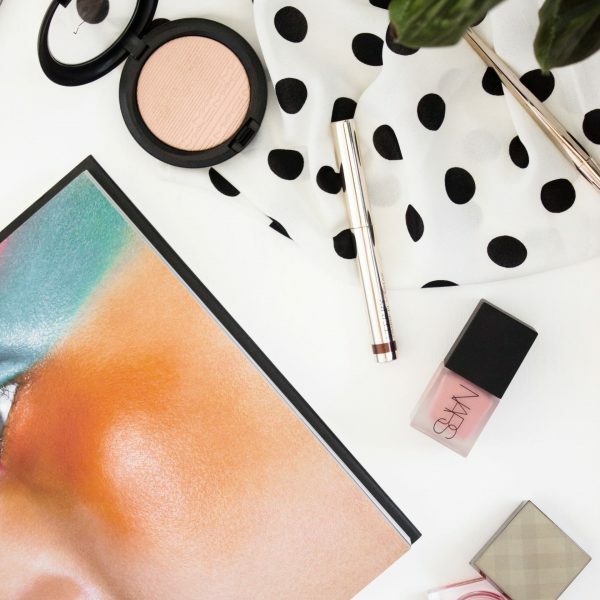 If you haven’t tried these yet then I would urge you to find a stand in your local Space NK or Harvey Nichols so that you can swatch them, there are quite a few shades and the online images I have found can be slightly misleading. To read my full review of this utterly beautiful product just click here. So there we have it, my conclusion of beauty from 2017. It was a good one, slightly reserved as I really didn’t pick up much last year at all. I am hoping to try a few cult classics this year such as the Anastasia Brow Wiz, Nars Creamy Concealer and the Stila Convertible Colour blushes.